The West Midlands Region's location is central to the success of many businesses, being physically located at the very heart of the UK. The West Midlands gives business more of that most precious commodity: Time. South Staffordshire is definitely the place to do business. 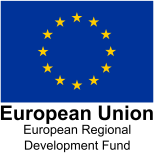 read about what South Staffordshire Council reports on the area, Inward Investment Brochure. Dunston Business Village is located on a prime site, just off the M6 motorway and less than five minutes from the M6 Toll. Closer to points of distrubution. Closer to the essentials you need to succeed. Dunston Business Village gives you easy access to five motorways and a network of major arterial roads - the West Midlands Region is truly at the hub of the nation's transport system. Did you know that being located at Dunston Business Village, means that you are only minutes away from a miriad of travel options?